I’ve been asked by a number of people: “What does the proper Elm file structure look like?” While the answer may be a bit nuanced as the answer is often dependent on your own project, I can show you what’s working for me after trying a bunch of different styles. What I’ve found in trying different patterns is that a structure that is built around features, has some room for globals, but is mostly fractal in design allows for scalability, refactorability, and reason-about-ability. What if I want to change frameworks and their model for the application no longer fits this paradigm? I’m not saying I’d do it exactly this way, but it’s a solution. Here you can see how the root level and the feature levels mimic each other’s structure. What you then do at the root level’s piece is merely forward along just what each feature needs letting it have a self-contain-y feel to it. To explain an example, Update would contain an update function where given a Profile.Msg(..) type, we can then call Profile.Update.update with the appropriate Msg and Model. In the Messaging folder you can see that there’s a subfolder structure in which in this example would hold all the pieces but the View.elm because maybe it’s not that complicated and it’s easier (and requires a ton less imports) to build all that functionality. At Messaging.Messaging we could have some basic forwarding logic to each sub piece just like root-level stuff, continuing this recursive design. This is where I bundle up all of the REST calls to abstract away the URLs, their building, and their types. Self-contained widget-y things like custom implementation of a drop-down menu, or a video player. They should be reusable and consumable at any level. If you need translations, a folder for internationalization phrases wouldn’t be a bad idea. Usually there are types and type aliases you be dealing with all over the application. In the Tinder example a file for User.elm would be useful for describing a user and a Message.elm which would describe the structure of a message. 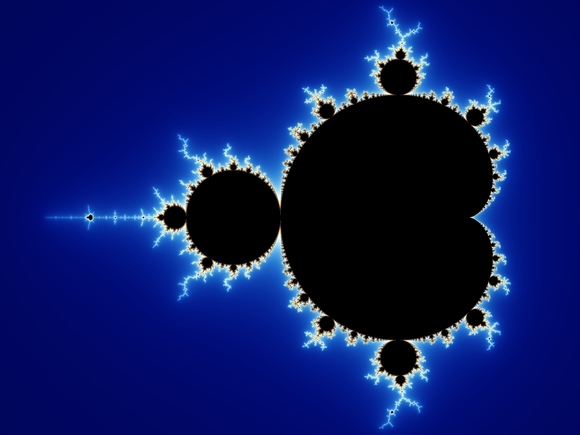 So, just like the Mandelbrot set is a recursive structure that contains more copies of itself, we too can build our project to look about the same on every level which not only scales better as our project becomes larger, but also is easier to think about the app since each child part mimics its parent.